The CLP-545 Clavinova is an astounding digital piano that combines an authentic action with the sound of two of the world’s finest grands. The Natural Wood X (NWX) keyboard reproduces the touch of an acoustic piano from the heavy feel in the lower register to the lighter touch in the upper octaves. A three-sensor configuration accurately senses and interprets the behaviour of the keyboard for a response and feel very similar to that of a grand piano. Sampled instruments in the CLP-545 include the CFX, Yamaha’s finest concert grand, selected and played by the winner of the 2010 International Chopin Piano Competition, and the Bösendorfer Imperial, a brand which has been held in high esteem by pianists throughout its long history. These renowned pianos are characterised by distinctive traits such as power, versatility, subtlety, lightness and mellowness. The sound of the CLP-545 is further enhanced with a two-way speaker system providing a powerful and detailed sound. It also features 256-note polyphony, 34 voices and an easy-to-use interface, giving you more time to focus on playing. The CLP-545 Clavinova includes world-class exercises for building piano technique from Hanon, Bayer, Czerny and Burgmüller. It also includes multi-track recording alongside the ability to record and play back audio files. 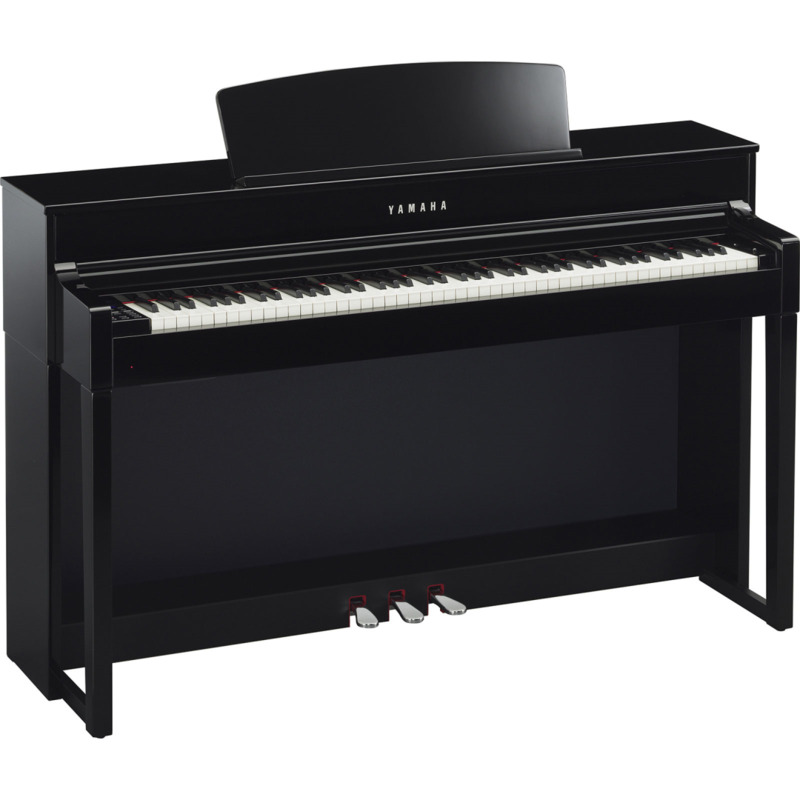 These features, combined with connectivity to computers and iOS devices, make the Yamaha CLP-545 Clavinova a powerful and versatile instrument.